These days, businesses, hospitals, government offices and schools are taking initiatives to introduce the solar power systems. They use solar powered signs to advertise and market their services. Solar lights are used to illuminate the signs and get a message out. There is no need to modify existing signs as they could be combined with current sign building technique. You could either install the solar panel at a shorter distance from the sign board or mount them on the top of the board. The panel harness sufficient energy during the day time and then consume it after dark. The best thing about these systems is that you no do not need infrastructure to connect to the electrical lines. The sun charged signs have brilliant economic benefits over the solar grid or traditional solutions. Unlike the grid connections, you could use these advanced systems even in remote areas. 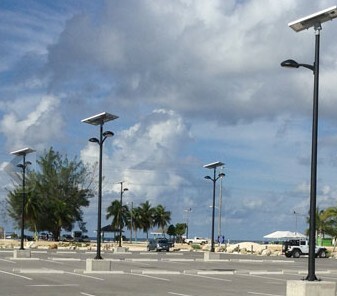 It is easier and cheaper to illuminate remote sections like parking lot poles. Not only this, you could use them for different purposes including marketing and advertising. They are helpful to illuminate signs of upcoming events past the regular hours. Many realtors often make use of these sign boards to get an edge over the competition while selling properties. Here are some important reasons to install these systems in the parking lots, residential and commercial areas. They guarantee to enhance the value of different brands, who have installed these systems at workplace. You might have to pay huge upfront fees to setup the system. However, you could expect great return within several years of fitting the systems. In long terms, you could surely have great savings. The installation cost of the solar systems is less than the traditional systems, which is surely an added advantage. Besides this, they are immune to the power outages. These products do not release carbon emissions. Installing the solar energy systems not only reduces the cost, but they would help those areas near your locality that do not have proper supply of electricity. If you need to run the electricity lines at a distance of say 2-3 kilometres, it is essential to bury the lines. The overall cost of the traditional energy setup would be really costly. The trenching could even disturb the traffic and the pedestrians. Not only this, it could cause many other problems. These days, advanced and modified systems are introduced in the market. They are far better than the old photovoltaic solar panels. Now smaller panels are used to generate energy. These panels could be easily directed according to the requirements. However, you have to ensure that these systems are installed in those areas that receive great sunlight during the day time. There are different solar signs including monolith signs, large monuments, and the directories without maps and so on. These solar signs are useful to share important information regarding evacuation. Even if the power grid goes down, these signs will still remain lighted for the convenience of the people. I like this, good sharing.